The Museo de Arte Contemporáneo Esteban Vicente houses the extraordinary collection of works donated by Esteban Vicente (Turégano, 1903 – Long Island, 2001), the only Spanish member of the first generation of the New York School of Abstract Expressionism in America. The exhibition of this Permanent Collection alternates with temporary exhibitions and cultural activities such as lectures, recitals and concerts. The museum is located in the medieval palace of King Henry IV, of the Trastamara family, whose construction dates back to 1445. In addition to its five exhibition spaces, the visitor can also enjoy its Renaissance chapel with its Hispano-Moorish carved wooden ceiling, currently the auditorium of the museum, and the garden where Harriet and Esteban Vicente’s ashes rest. 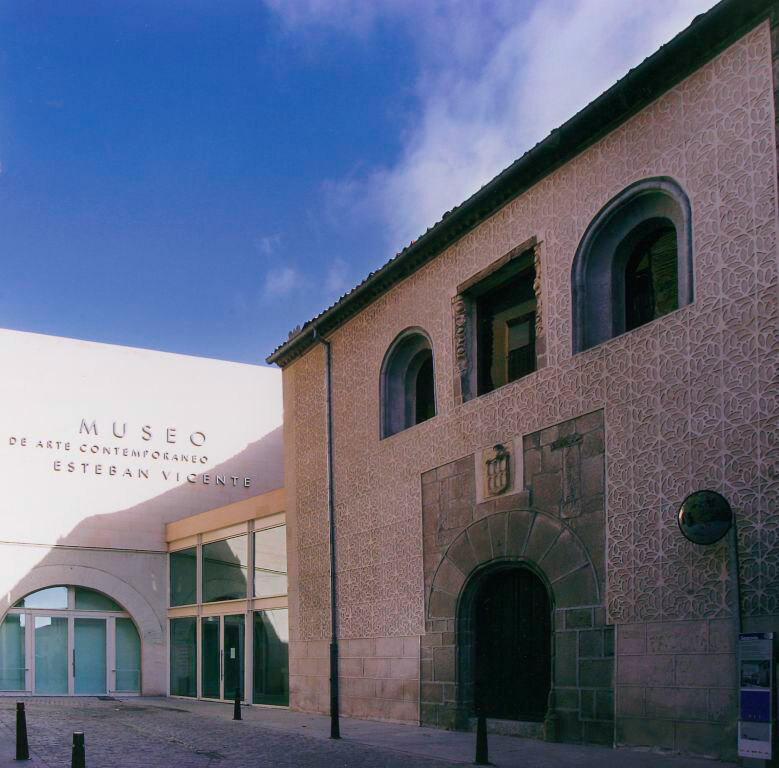 The Museo de Arte Contemporáneo Esteban Vicente has become an important point of reference for every visitor to Segovia, a city whose entire historical and cultural legacy has been designated by the UNESCO as a World Historical Heritage Site.